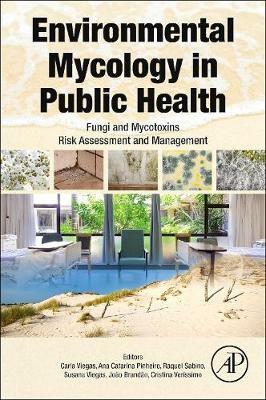 Environmental Mycology in Public Health: Fungi and Mycotoxins Risk Assessment and Management provides the most updated information on fungi, an essential element in the survival of our global ecology that can also pose a significant threat to the health of occupants when they are present in buildings. As the exposure to fungi in homes is a significant risk factor for a number of respiratory symptoms, including allergies and hypersensitivity pneumonitis, this book presents information on fungi and their disease agents, important aspects of exposure assessment, and their impacts on health. This book answers the hard questions, including, "How does one detect and measure the presence of indoor fungi?" and "What is an acceptable level of indoor fungi?" It then examines how we relate this information to human health problems.